We have received the Two Wheel Gear Pannier Backpack convertible from the land where Americans will leave to if Donald Trump gets elected. Interestingly, my Devinci Caribou is also Canadian so both items will be rightfully immigrated just in case Trump wins the election. 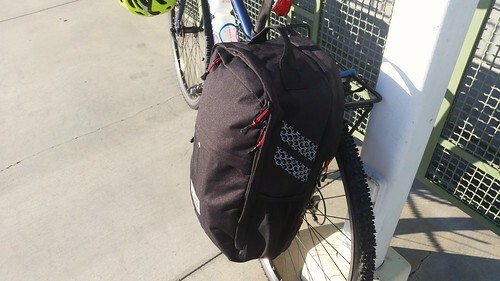 Disclaimer: The fine fellows from Two Wheel Gear noticed that I was commuting via train and bicycle so they sent us their new Pannier Backpack convertible to put through its paces. 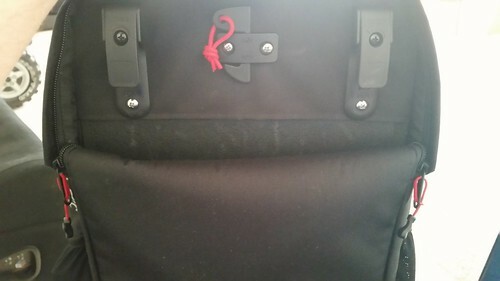 So the big boss at BikeCommuters.com asked me if I wanted to review this thing that is supposed to be a Pannier AND a backpack. 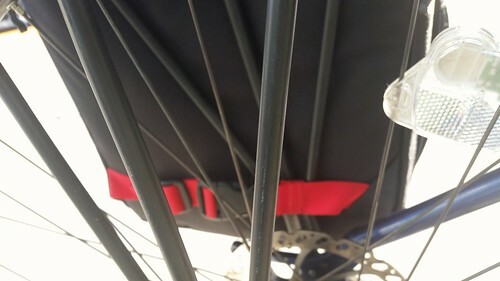 I was intrigued and I was also in need of a nice Pannier so I quickly accepted his offer. 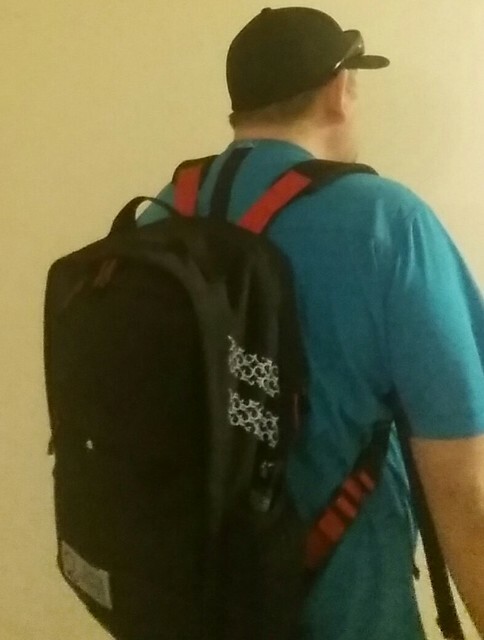 Close the bottom straps, and voila, you got yourself a pannier! The conversion takes about a minute, this was a huge plus for me on my last train-bike commute. 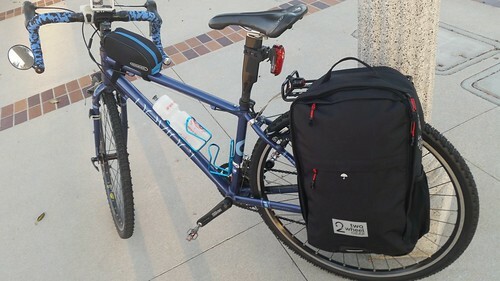 I boarded the train in backpack mode and as soon I got off the train, I simply converted it into a pannier and I was ready to ride the bike to work. 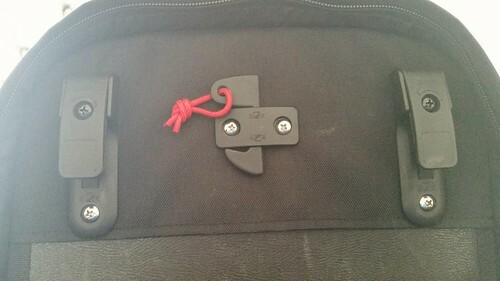 This includes a padded sleeve for a 15″ laptop or a tablet! High quality weatherproof materials– Includes reflective accents! 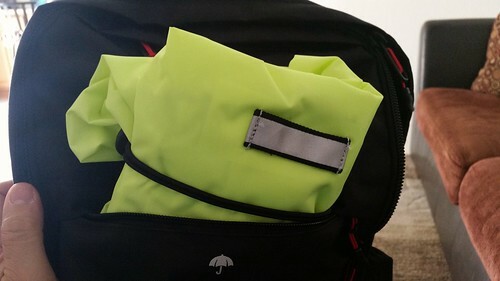 A Fluorescent, reflective rain cover! 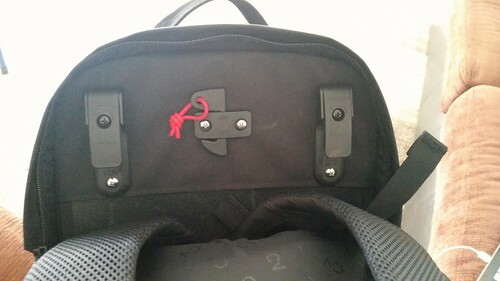 The guys at Two Wheel gear are geniuses; I was truly blown away with their Pannier/Backpack design. 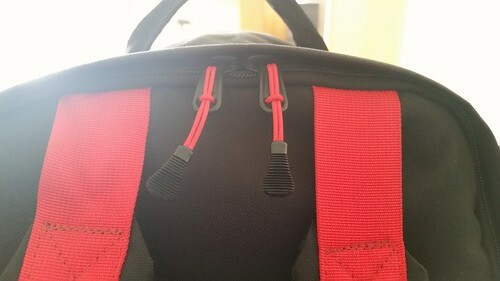 The functionality, the looks and the materials are top notch but we will see how this bag holds up to my train/bike commute. Stay tuned for a full review. 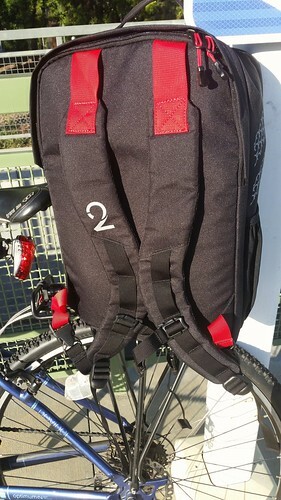 You can purchase this pannier/backpack at TwoWheelGear.com for a very reasonable $119 USD. 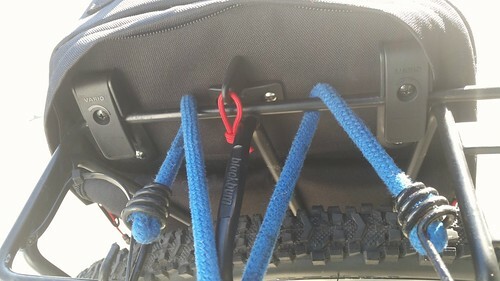 I prefer a folding rear basket like the Wald 582 (http://goo.gl/f4PDuM). 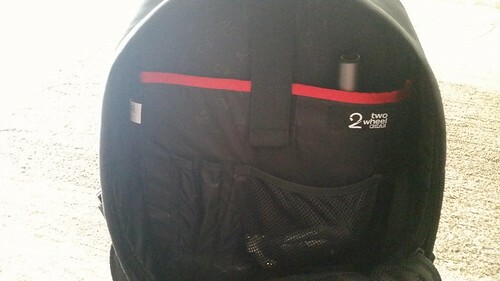 It folds or unfolds in seconds and I can drop any old backpack into it and ride away. Problem solved for about $20.